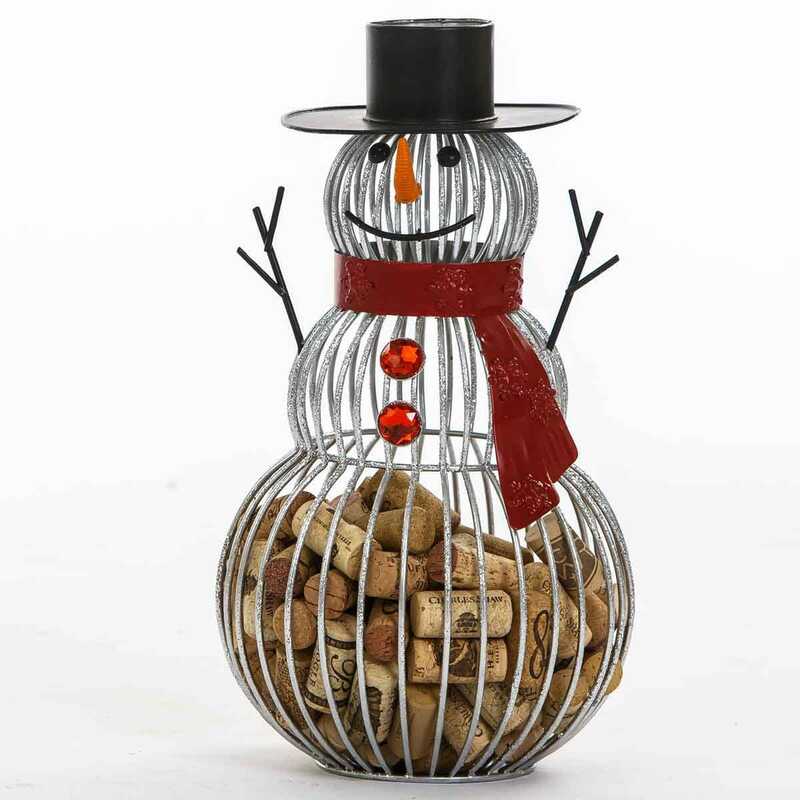 Snowman Cork Collector is a friendly snowman who proudly displays your collection of corks. The snowman body is made of a durable steel cage with a frosty silver finish that captures the holiday spirit. He is adorned with glimmering red buttons, a festive scarf, and a classic top hat that opens so you can easily store over 150 corks. Perfect for wine lovers, this adorable display piece will showcase all of your wine tasting experiences with a dash of style and a whole lot of cheer. Measures 8”dia x 14 1/2”h.